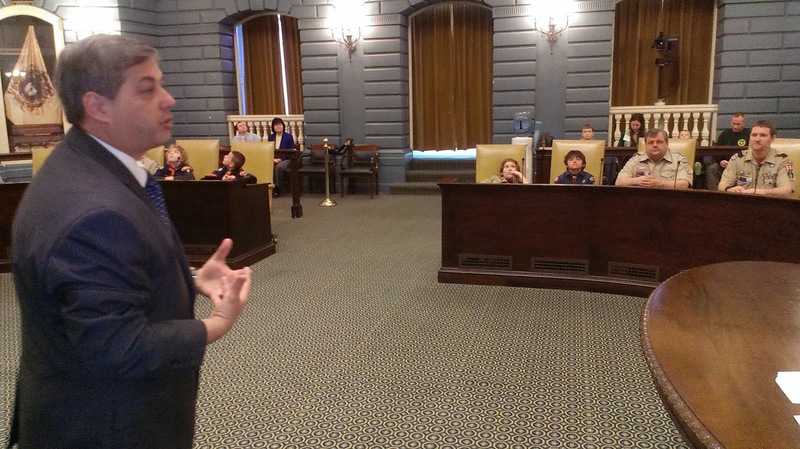 The February school vacation week has always been a terrific time for students to have an opportunity to visit the State House – today, I had the pleasure of hosting Cub Scouts and Boy Scouts in the Senate Chamber. 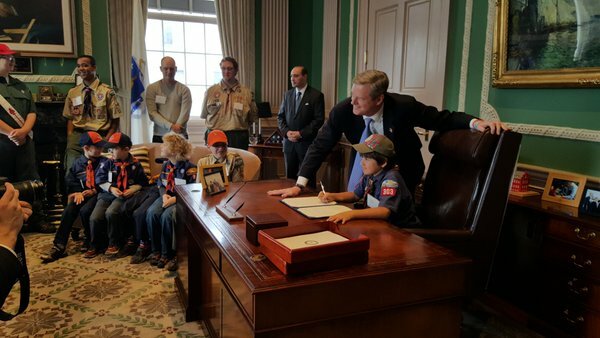 These Boy Scouts, guests of Senate President Stan Rosenberg, began their day by spending time with Governor Baker in his office. I had the pleasure of then introducing them during a Senate session, after we adjourned I gave them a tour of the Senate Chamber. 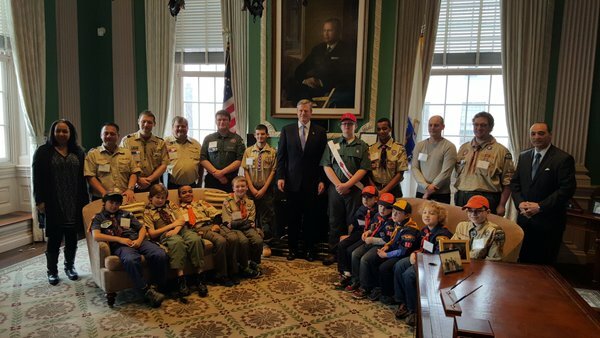 Senate Clerk William Welch, a former Scout, talked about his 1961 State House visit with his troop to meet Governor Foster Furcolo. 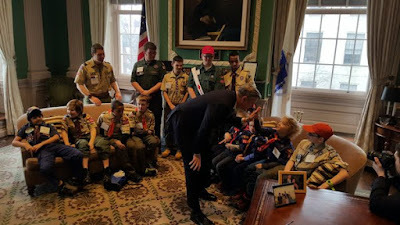 It was certainly a pleasure to have the Scouts and their adult leaders join us – it gives me confidence in the future to know that these leaders of tomorrow have strong community pride, civic spirit, and code of responsible conduct.